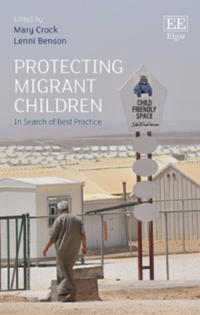 In this chapter, Arezo Malakooti (Senior expert on migration, Global Initiative against Transnational Organized Crime), provides an overview of the global data on child migration, exploring how and why children travel in the regions covered by the various contributors to this book. At the outset, Malakooti acknowledges that data on international migration is not particularly precise or reliable. Statistics in many regions are scarce or non-existent, so that numbers are generally based on estimates. Specific data on child migration is even more difficult to come by. According to the United Nations High Commissioner on Refugees (UNHCR) in its Global Trends Report 2015, only a few countries supply refugee data disaggregated by age. In 2015, data disaggregated by age was available for 21.2 million people only, which represented 33 per cent of the estimated global number of refugees. This chapter draws heavily on the ground-breaking report prepared by the United Nations Children’s Fund (UNICEF) in 2015, Uprooted: The Growing Crisis for Refugee and Migrant Children, which represents a laudatory effort to compile all of the data then available on the topic of children on the move around the world. Arezo Malakooti has over twelve years of experience conducting social research in countries as divers as Afghanistan, Iraq, Libya, Tunisia, Egypt, Morocco, Sudan, Rwanda, Lebanon, Italy, Spain, Greece, Malta, East Timor, Australia, and Cambodia. This has mainly involved primary field research across a number of topics including, sub national governance, gender, youth, civic engagement, rule of law, independent media, and migration. She has a particular expertise in qualitative research and has trained and managed teams of local researchers in sensitive areas of Afghanistan to conduct ethnographic studies on social behaviour, many of which she also conducted herself. In her eight years in Afghanistan, she has also coordinated a large number of program monitoring and evaluation (M&E) projects and large-scale assessments of the civil society and media sectors. When Arezo was the Director of Migration Research at Altai Consulting (a practice area that she envisaged and created) between 2012-2016, she focused primarily on migration-related research for a range of clients including IOM, UNHCR, national governments and international NGOs and developed an expertise on the movements to Europe through the three Mediterranean routes. This involved formative research, socio-economic assessments, program design and the monitoring and evaluation of existing programs. She has spent considerable time conducting interviews with migrants and refugees in the Mediterranean region, particularly in Libya. All of her studies involved primary field research and included modules of research in all key locations along the route (route focused). Some of the major studies she researched and authored during this time include “Mixed Migration: Libya at the Crossroads”, which included the first major mapping and analysis of all migration to and through Libya post-revolution; and “Migration Trends Across the Mediterranean: Connecting the Dots”. Within this role, she also trained and managed field teams across a number of countries. In 2016, Arezo helped establish a field research portfolio at IOM’s newly established Global Migration data Analysis Centre. She moved to Berlin for this role and conducted a number of studies that tracked the movement of the one million asylum seekers that moved into Europe in 2015 and their integration into Germany. Before joining the Global Initiative, Arezo was freelancing for a number of clients in the migration space. In this time, she has completed a considerable amount of work for the Swiss government, to help them design two regional migration programs: one in West Africa that was submitted to the EU Trust Fund, and one in East Africa. In 2018, she has worked with UNDP Sudan on migration research that involved primary modules of fieldwork in the refugee camps in the East of Sudan. Arezo joins the Global Initiative as a Senior Expert in Migration and is the Team Leader on the EU Trust Fund project, “Monitoring the Political Economy of human smuggling and trafficking in Libya and the wider Sahara”. Arezo is an Australian trained lawyer and holds a BA in economics. She is a native English speaker, speaks fluent Dari and Farsi and intermediate French.